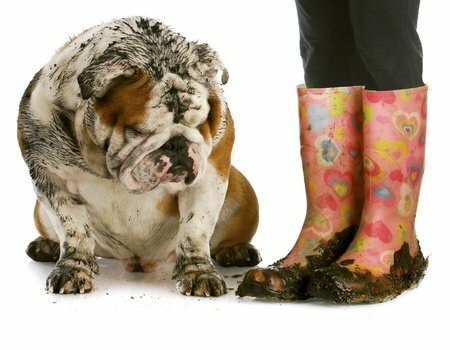 Pet owners understand how difficult it is to clean up after a pet – just one animal is enough to require the constant attention of a conscientious caretaker. Imagine that animal and on a scale of 1 to 10, rate the difficulty of caring for it and then multiple that number by one hundred. That’s how monumental the task is for a pet care facility which has the responsibility of creating a clean and safe environment for hundreds of diverse pets and their owners every day. Where would you begin?The floors of pet care shops and veterinary offices routinely contend with urine, drool, feces, and the like – not to mention the physical burden of claws, paws, and dirty shoes. As a result, pet care facilities require tough flooring that can withstand a variety of animal messes and repeat cleanings – while still looking great for its high maintenance guests. Everlast Epoxy Systems creates a tough proprietary flooring called Everlast Floor that has earned its name by providing durable, slip resistant, and easy-to-clean flooring solutions to pet facilities all over the nation. From national brands to neighborhood veterinary offices, Everlast Floor is the antimicrobial solution to high traffic pet providers who want to create safe and healthy environments for the animals they receive into their care – daily. Pet owners love animals unconditionally, despite their inherent propensity to make a mess. As a result, pet facilities require a flooring surface that can withstand anything while still providing an attractive and inviting look. 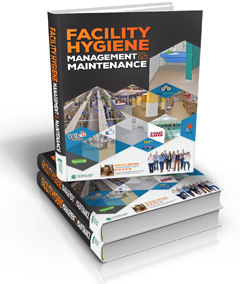 For instance, if you know that you’re going to open a veterinary clinic, you’ll need your floor to be sanitary, easy to clean, and preferably free of cracks or spaces that could trap dander or other animal-borne pathogens. While the majority of thin epoxy flooring brands claim to be anti-microbial, that often-brittle surface layer of protection is easily eroded by cleaning agents or chipped away by pet paws and claws. Once that protective layer is gone, pathogens can persist in their environment for months at a time. You wouldn’t expect to come down with an illness at a veterinary office, but unfortunately “pathogens spread by animal contact account for “445,213 illnesses, 4,933 hospitalizations, and 76 annual deaths,” according to The National Association of State Public Health Veterinarians Animal Contact Compendium Committee. Everlast Floor is a seamless epoxy flooring filled with resin three times as thick as conventional sealants. Furthermore, its slip-resistant, non-abrasive surface can handle spills – which again, is crucial to customer safety. Pet facilities require the best possible flooring out there to protect the staff, customers, and animals which come in contact with it. Our pets have scratchy claws, frequently urinate, and treat the floors they encounter with reckless abandon – and while the animals we love have no means of ensuring their own health and safety, the pet facilities we entrust them to, do. Where other floors are vulnerable to harsh detergents and chemicals, Everlast Floor is made with an EPA registered antimicrobial additive that restricts the growth harmful bacteria. Durable, easy to clean, and slip resistant, Everlast Floor is built to ensure the safety of every bird and beast that crosses its path. Pet care is a tough and never-ending task. It’s time to make the job easier.Install Everlast Floor to ensure the safety of your pets and people who care for them.